Crooked teeth can bring embarrassment when talking or laughing. Such conditions tend to reduce the self-esteem of the individual causing them to dislike their teeth a lot. However, there is a solution to that. Thanks to the ever-growing field of dentistry, invisible aligners have been designed to help realign the position of your teeth while concealing the dental equipment. 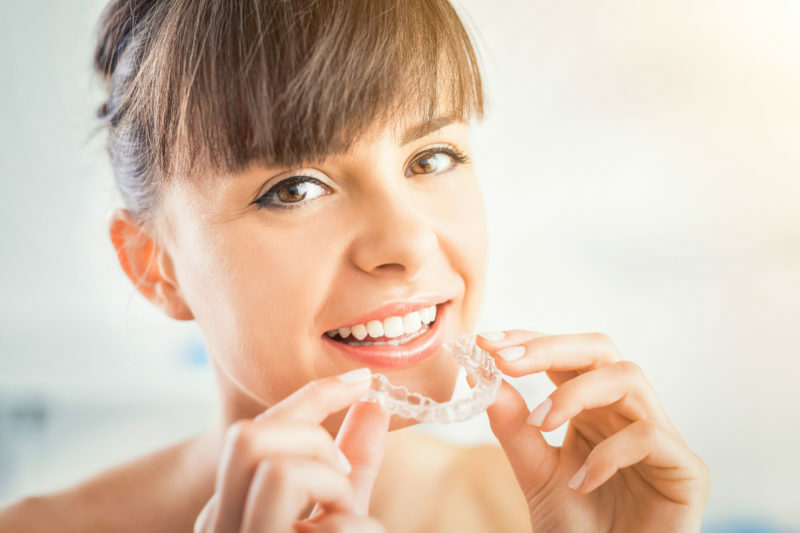 Unlike dental braces and regular aligner that are visible from anywhere in the room, invisible aligners- also known as Invisalign- are very convenient in that they treat crooked teeth while still being unseen. Various dental offices offer Invisalign treatment including Smile Dzine. Smile Dzine offers this and plenty of other crooked teeth realignment procedures that are available for people of all ages. Invisalign is fitted onto the teeth like any other set of aligners. However, they may require special attention in some cases necessitating more extended sessions with the dentist. The first step in getting Invisalign West Hollywood fixed is going for a consultation at the dentist. During the consultation, the dentist begins by looking at your teeth and determining what is needed. This will include looking for misaligned teeth, gaps between teeth and so on. As the dentist assesses, he notes down the crucial details for later treatment. If you have any pressing demands that you want the dentist to address, you can consult the dentist to assist him in developing a customer-specific treatment plan. After gathering all the relevant details, the procedure can now begin. In developing a personalized treatment plan, the dentist takes a scan of your teeth from one side to the other. For Invisalign west Hollywood to be well fitted the dentist has to consider the whole mouth and how the aligner will fit in place. The scan is also intended to determine the issue to be corrected and develops the treatment plan. After a comprehensive plan, the dentist then puts down the details and develops the treatment plan. The final product is then printed out, and the dentist shows it to you to approve of the new smile. After approving, the blueprints are then sent to the lab to model the aligners’ customization. The aligners are designed to look exactly like the model presented before. Since they are custom made, they are individual-specific and best suited for one’s dental condition. The aligners may take less than a week to be created which includes Invisalign West Hollywood for both adults and children. After they are created and produced, the dentist then illustrates to you how you should put them on. More often than not, custom-made Invisalign is usually the perfect fit for the intended dental patient. However, if you feel that the Invisalign is slightly out of place, you can tell the dentist to run another more accurate scan to deliver compatible aligners. After getting the aligners fixed in place, you can now enjoy the benefits of Invisalign West Hollywood. The dentist will caution you of any foods or habits that you should avoid to preserve the aligners and ensure their proper functioning.